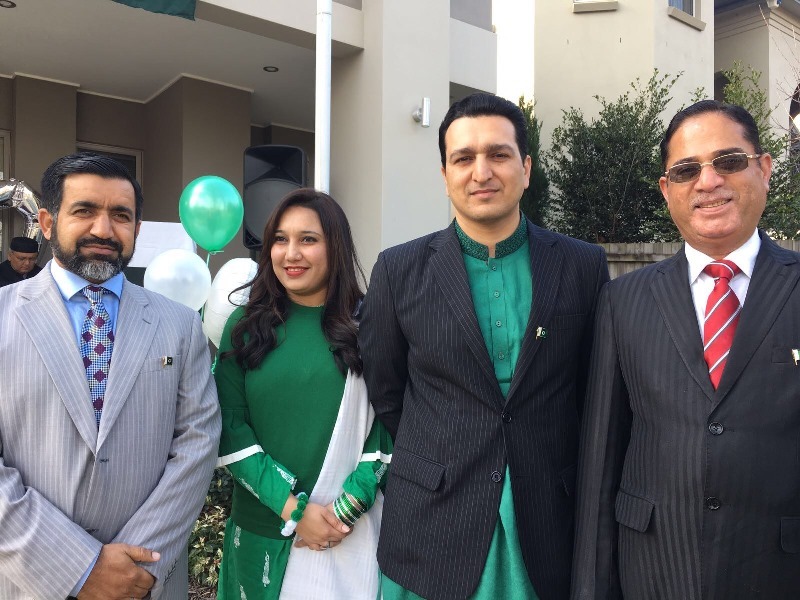 On Monday, 14th August 2017,Flag Hoisting Ceremony was held at the Pakistan House Sydney. 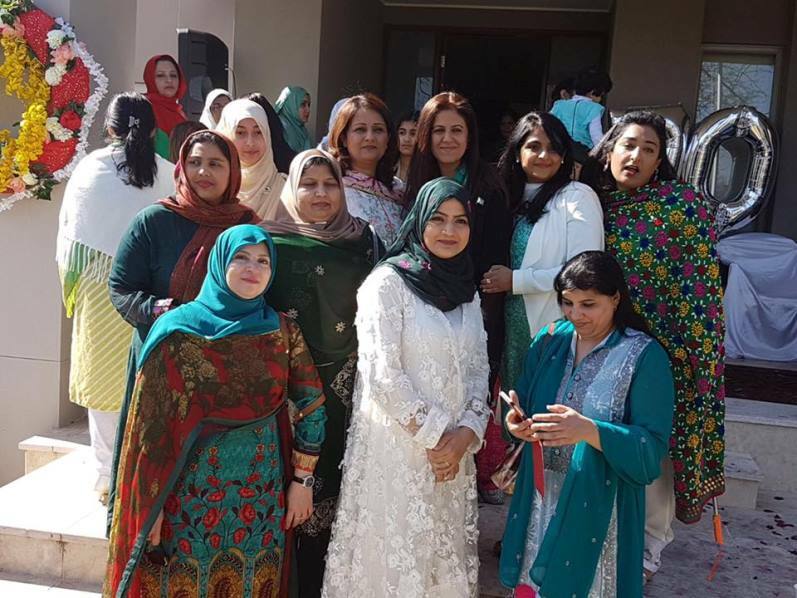 A large number of Pakistani community members attended this ceremony. Mr. Lal Wikramatunge Consul General of Sri Lanka and other dignitaries joined the Consulate of Pakistan to celebrate 70 years of Rising Pakistan. The Counsellor of Pakistan Consulate Sydney Bushra Salam was MC of the event. 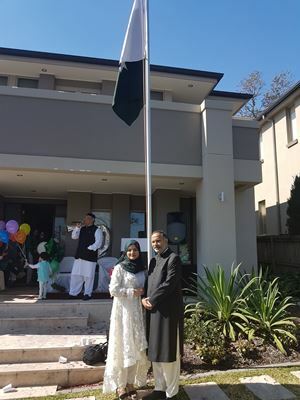 Sada-e-Watan Sydney is including full Transcript of the speech of host of the day, Consul General Mr. Abdul Majid Yousfani. I feel honoured and humbled to see you all at the Pakistan House Sydney attending the Independence Day Program. I like to acknowledge the presence of our special guest: my dear friend and colleague Mr. Lal Wikramatunge Consul General of Sri Lanka. We have all gathered here not only to commemorate and celebrate but to express our respect, reverence and recognition to admit and acknowledge the role of the leaders of the Pakistan Movement and the sacrifices that our forefathers paid to achieve a homeland for us. Pakistan is our origin, identity and pride in this land and rest of the world. No matter you emigrate, naturalize and acquire Australian citizenship but your heart will always beat with Pakistan and with your relatives and childhood friends. 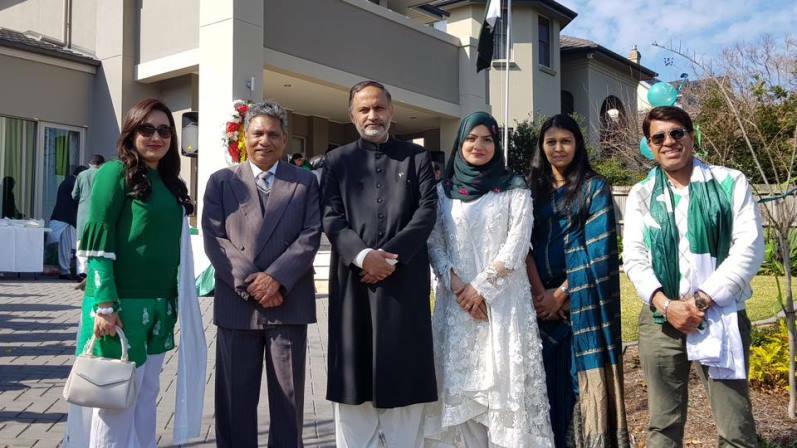 I am delighted to see that Pakistanis form an important element of the society in Australia. I feel honored to find that you have contributed to all spheres of Australian life: be it agriculture, medical sciences, engineering, finance, education, research, sports, business or politics. Most of the Pakistanis and their next generations have made a great mark in the public and private sectors of Australia. I am pleased to find that your contribution to the Australian society is equally accepted and acknowledged by the Government and the corporate sectors. I hope and pray that you will continue to excel in all fields and be recognized in this society as an emblem of equity, an illustration of integrity, a symbol of success and a title of tolerance. We have not been spending our energies towards publicizing and promoting our work and our sacrifices for a peaceful world. May I take this opportunity to highlight that Pakistan is a victim of terrorism. We have lost over 75,000 people in this war against terror during the last 13 years. Our loss of property and foregone economic opportunities on account this war against terror has caused a loss of about 100 billion US dollars during this period. Let me impress upon you that the Government in Pakistan is committed to continue to take efforts to eradicate the menace of terrorism from the land of the pure. I must make it a point today that we should, as a community in this land and rest of the world, make efforts to bring about improvement in the image of Pakistan as a country and as a people who love and promote peace not only in their own country and neighbourhood but also to the rest of the world. We must work hard to promote the image of our country in this land by being law abiding citizens and use our energies to project our image in this society as promoters of peace. May Allah provide you the capacity and courage to promote the image of Pakistan as a just nation through your own example in this country. I must tell you that the Consulate has been providing you support and will continue to support you in your efforts for promotion of the soft image of our country in this country. May I take this opportunity to urge you to cooperate, collaborate and coordinate amongst each other and with the other communities. You must continue to cultivate support and to continue to contribute to the society and economy of this country. While doing all this, I would urge you not to forget those who are less fortunate and need your help in Australia and back home in the country of origin. You must look forward to help less fortunate people in Pakistan as they need your help and support in the testing times. May I highlight some of the achievements of the Consulate General Sydney towards promotion of the soft image of our country and also recognize the efforts and participation of our community. During the month of March this year, we participated in a Multicultural event called Parramasala. Our first ever participation in this event consisted of a Community Parade on 10th March 2017, multiple Singing performances, live cooking demonstration and live truck art. The Pakistani Musical Group performed exotic Sufi songs in six Pakistani languages that attracted our community and Australians equally well. The crowd in the Riverside Theatre on 11th March 2017 engrossed into the cooking and enjoyed and appreciated the taste of Pakistan. The "Live Truck Art Show" by the Pakistani Artists continuously captured the attention of the crowd at the Centenary Square. The group converted a van into a piece of art and promoted the folk genre in Australia. The Truck Art became so popular in the event that its photo earned a prize to the photographer. On the economic front, we have been able to participate in the Trade Fairs held in Sydney and Melbourne. Pakistani products and IT services were placed on display in International Sourcing Expo, Beauty Expo, Fine Food Australia CeBIT Expo. Consulate General Sydney facilitated Pakistani companies participating in these exhibitions and arranged B2B meetings for them during these events. Bilateral trade volume is reported as AUD 1,143.311 million and has grown by 15.4% during FY 2016-17 as against previous year. We are in the process of preparing a trade delegation from Australia to Pakistan. We are also planning to organize a conference in Sydney to create awareness about the investment opportunities in Pakistan in the agriculture, livestock, manufacturing, services and other sectors. We are looking forward to attract and enhance inward investment for Pakistan. We will be connecting the prospective investors with the experts and experienced to enable them to capitalize and capture economic opportunities both in Pakistan and Australia. May I let you know we are continuously updating our business process, forms and formats at the Consulate General Sydney and upgrading the facilities and services for our community. We have enhanced security through CCTV System. We have introduced a 24x 7 emergency help line and facilitation. We have successfully repatriated the human remains of Pakistani students who died in accidents and provided of help and support to the stranded Pakistanis in Australia. We have designed a new website for the Consulate General Sydney which is customer centric. The new website is user friendly, accessible on a smart phone, contains online application forms and possess useful information aimed trade, tourism and investment promotion. We have resolved to provide you better consular, community and trade services through our website including the provision connecting individuals and businesses together, maintaining the databases of students and volunteers etc. On the economic front in Pakistan, CPEC is bringing an investment to the tune of 52 Billion USD in the construction, energy and other sectors of the economy. CPEC will enhance the infrastructure, bridge the energy gap and enable a chain reaction to provide strength to our economy and a capacity to continue to attract business and investment leading to development. Before I conclude, I must offer vote of thanks to everyone who participated and supported us in planning, organizing and making this event a success. It will be unjust if I don't mention the support provided by my family in organizing and making this event a success, especially my wife who has demonstrated her active association, invaluable involvement, precious patience and sustained support to make all events a success. While concluding my discourse, I would like to thank you all for sparing time to be with us for the Pakistan Day Celebrations. 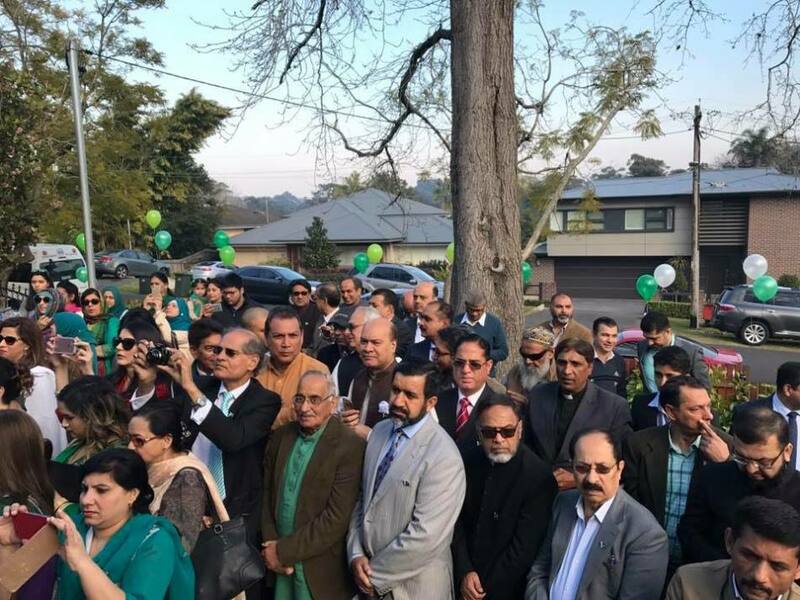 I hope that you enjoyed the Flag Hoisting Ceremony held at the Pakistan House in Sydney and will enjoy the breakfast hosted by the Consulate General in the honor of all Pakistanis residing in Sydney.